Join us for a LEGO building party. 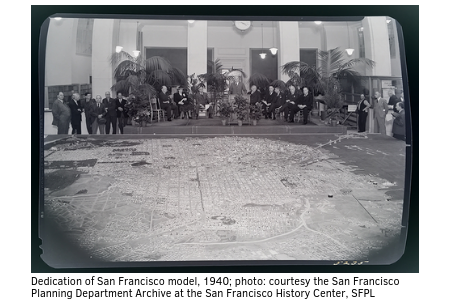 Together, we will build a LEGO city inspired by the San Francisco Urban Model (see 1940s dedication below). Brick by brick, we will create urban blocks and neighborhoods and put them all together to make our own city!